Christopher Shelton was elected president of the Communications Workers of America by acclamation by delegates to the union’s 75th convention on June 8, 2015. 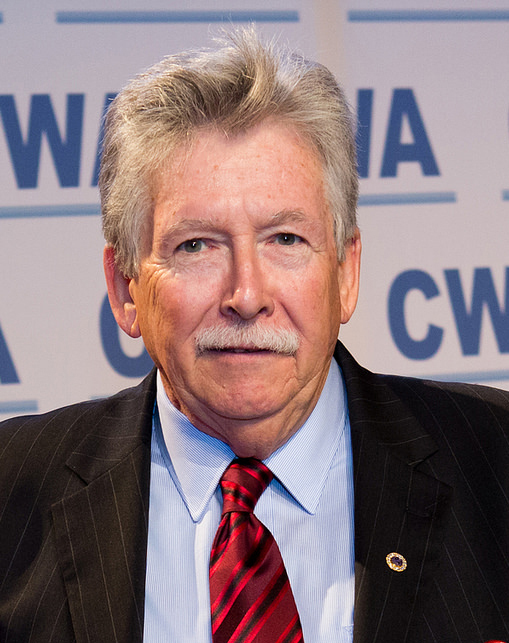 Prior to his election as president, Shelton served as vice president of CWA District 1, representing 160,000 members in more than 300 CWA locals in New Jersey, New York and New England. He served as the Verizon Regional Bargaining Chair in 2000 and 2003, and overall Chair of Verizon bargaining for CWA District 1, District 2-13, IBEW New Jersey and New England in 2008 and 2011. He also chaired negotiations in New Jersey for 40,000 State Workers in 2008 and 2011. Shelton started his union career when he went to work for New York Telephone in 1968 as an outside technician. He was elected a CWA Local 1101 shop steward in 1968 and served Local 1101 in various positions until December 1988 when he joined the CWA national staff. He is a native of the Bronx, N.Y.